Well, obviously I can't leave him on his own. I mean, I said goodbye for a couple of years to write the fantastic Jake Watch book that I hinted at when we shut the blog down and now I come back and HE'S A LEGO for Christ's sake. And as if that wasn't enough, the rest of you are just killing me. Yes. YOU. What is going on? 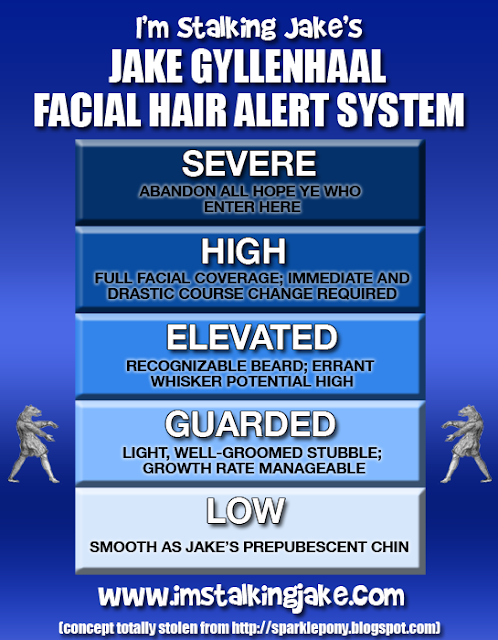 Jake is showing up to premieres and stuff and onlookers are standing around not fainting. And you people call yourselves fans! 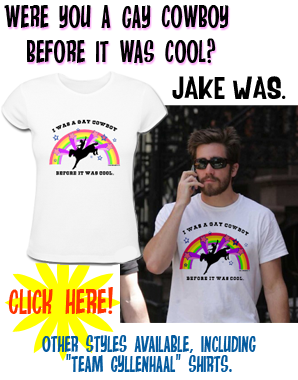 Consider this blog a haven for those chosen few who truly understand that Jake Gyllenhaal is a man among men. That Jake Gyllenhaal is unparalleled in his magnificence, and that Jake Gyllenhaal sends the world secret messages through the height of his socks. Some of you I knew in a past life, and to you I say welcome back! And to those of you just joining us, you are in for quite a treat, if I do say so myself. I have so many fun things planned for us...oh, the good times we'll have together! Well you kept this in the closet didn’t you! I’ve barely had time to put some lippy on and you spring this on me! Looks like I’m going to have to swish it up a bit! Well, well, well. WELCOME BACK PG!!! What a nice surprise this was this morning when I woke up! Let the fun begin! This is just too cool! PG is BACK!!! Par-tay time! Weird...I was thinking the other day I had no one to really share my excitement about Prince of Persia with. I shoulda known.. *grin* WELCOME BACK!!! Excitement? -NCWoman what excitement? I dont even know what your talking about! Haha! We can all *drool* together!!! Glad to have you back PG! You have been missed. Jake and the rest of us really felt the void of your absense. And just the other day I found myself craving a sock watch and here you are! My lips are sealed! Come on britpopbaby... show us some love! 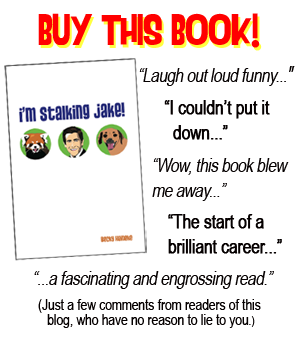 Jake definitely needs you. The lack of sock coverage has been devastating. Look at all the disasters that have been happening the last few years... coincidence?? Im very excited atm, but if there is a surprise visit from BPB i cant promise i wont wee a little!! !